This is the beauty of England's Whitehill - who have been crafting stunning silver plated tableware, giftware and accessories for years. Whitehill's elegant range will look simply exquisite in the home of anyone with an affinity for the antique look and even those with a more modern sensibility. One thing's for certain: your Whitehill piece will become a beloved heirloom that can be passed down through generations. 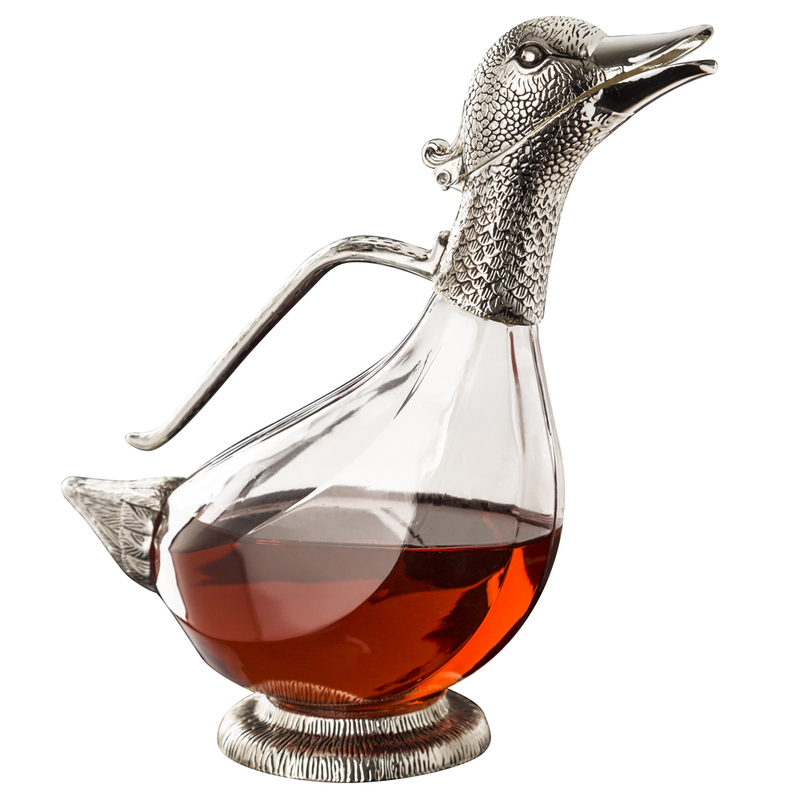 You may not think of ducks as enchanting, but you clearly haven’t seen Whitehill’s Duck Decanter up close. This stunning, totally unique decanter is perfect for those special dinners when you really need to make a lasting impression. It’s sure to get a smile out of your guests...they could even quack up laughing! In no time at all, the conversation will be freely flowing – as well as the wine, of course. Silver-plated duck head and tail.